It is the Lumia series that turned out to be the sliver ray of hope for Nokia after its dismal performance and depleting sales. The Lumia series has been such a whopping success that a lot of models were launched back to back. 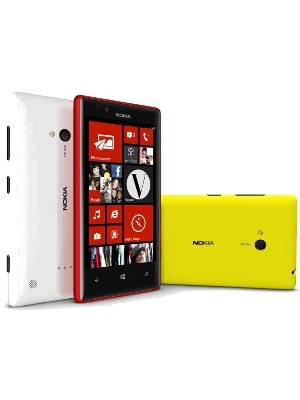 Both Nokia Lumia 620 and Lumia 720 are among most popular Lumia models. If you are wondering as to what will be the better option between them, read the full comparison here. Here we compare, as to whether Lumia 720 is worth the extra price or whether Lumia 620 is the affordable and the better choice for you. While both the phones are based on Windows Phone 8 operating system and have a reasonable screen size, Lumia 720 obviously comes with a larger screen size measuring 4.3 inch while Lumia 620 has a screen size of 3.8 inch. There isn’t a huge difference between the two, but you get a better viewing angle with Nokia Lumia 720, thanks to IPS technology. If you are one among those who have a fetish for using phones with a larger screen, Lumia 720 wins the battle for you. When you are buying a Smartphone, it is the multimedia features that hold phenomenal importance. For those who love to use a stylish phone with a high end camera, Lumia 720 offers the best feature as it comes with 6.7 megapixels opposed to 5 megapixels by Lumia 620. The additional camera features are nearly similar as both the models have geo tagging features along with auto focus, white balance presets and even frames and scenes. However, when it comes to making a video call, you will need a front camera and in this aspect; there is a huge difference in the two models. 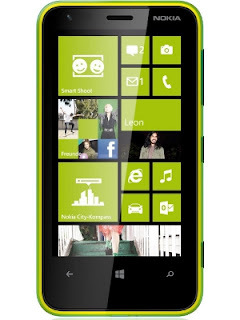 While Lumia 620 has a 0.3 megapixels camera, Lumia 720 has 1.3 megapixels camera which leads to better video calls with higher clarity. The most phenomenal difference in multimedia features has to be the video quality output. 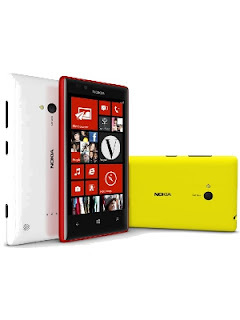 While Nokia Lumia 620 offers a video output of resolution 640 x 480 which is of VGA standard, Lumia 720 on the other hand gives an output of 1280 x 720 and it is of HD quality. With regard to music output, both phones offer nearly same features as supported audio and video file formats are nearly the same. So, from the view point of a music lover, both the phones offer almost similar features despite the difference in price. Configuration wise, both the mobiles are almost same. Both of them feature 1 GHz dual core processor accompanied by 512 MB of Ram. You have 8GB of internal storage to store your stuffs with an option to expand up to 64GB. If you tend to use your phone for long hours without charge, Lumia 720 is the obvious choice for you. It has an average talk time of 23.4 hours which drops down to 13.4 for 3G services. This is much better compared to the performance of Lumia 620 as it has an average talk time of 14.6 hours which drops down to 9.9 on 3G network. The battery capacity for Lumia 720 is 2000 mAh while that for Lumia 620 is 1300 mAh. However, the processor, graphics processor, system memory, ram and other technical specifications are same for both the models. You get what you pay for. 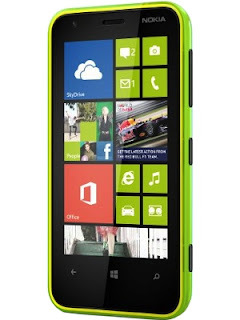 Nokia Lumia 720 is priced at a premium in comparison to Lumia 620, but then you get a better display and better camera. 4.3 inch sounds like an optimal screen size and with IPS technology; it makes viewing movies, multimedia a pleasure for you. 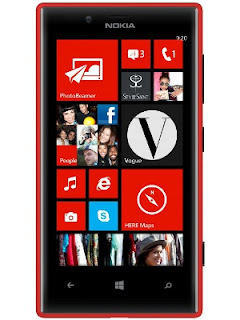 Go for Nokia Lumia 720 if you have a budget, you won’t regret. The Author of this post is Julia. She wrote several tech posts for 91mobiles.com. Her passion for upgrading her knowledge puts her to research on topics relevant to her industry. Besides, she also likes to share her findings by writing about them in her free time.